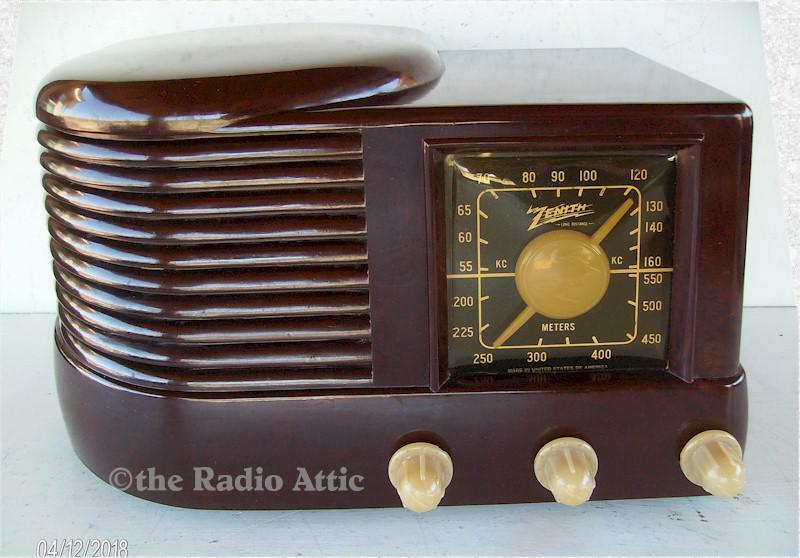 This stylish model is popular among radio and Art Deco collectors. This is a very nice all original example. The cardboard back is missing, but otherwise it is complete. There are a few scratches, but no cracks or chips. It still retains its factory gloss finish. The radio has been serviced and plays well. 12-1/2"W x 8"H x 6-1/2"D.